So it has been 2 months since I completed the HCG 26 day program. As mentioned before it should be 33 day program because even though HCG stops you need to have extreme discipline that next week. I gained 7 pounds that week. However on the Sunday of that awful fall from grace (having lost over 20 pounds during the 26 days) I purchased a Bowflex and decided there was no way I was gonna shoot back up. My motivation truly was fear and I was scared. I didn’t even eat that bad during the 7 days but my weight was climbing daily. Yes I still have to watch the carbs / sugar closely but I need to do that as a type I diabetic anyways. You MUST set an exercise regime at the end of your HCG to succeed long term… I am sure of that and I am not stopping. 40-80 minutes/day to prevent ever tipping the scale is worth it and it also lets you have the odd “guilty” day when you want to indulge a bit. After the 30 min Put in your diced fresh peppers and simmer uncovered for 20 more minutes again stirring, after that put in your fresh mushrooms and cover/simmer for 15-20 more minutes – I just wait until the mushrooms are cooked but not too small or mushy. I like to keep them nice and big. Turn off and it will stay hot/covered for hours – add your favourite hot sauce and indulge. (Inusually mix saraicha and franks for the best taste). This chili will not send your body weight crazy but will be very satisfying. I can eat it for breakfast, lunch or dinner. Any questions let me know. When you have something like chili always ready you will not run into those times where you have to eat bad because there is nothing else easy around. ENJOY!! The week after HCG Diet. Be careful- – stay really focused. First off- after 3 times I gotta say this program should be said it is a 33 day program. You really have to stay focused and stay on the menu for that week after the 26 days. I did last time and did not gain any weight. At the end of this program I was really depressed, didn’t want to eat and just felt awful. I was not prepared to go another week on the same menu. I stuck to the calories recommended but I went off the menu. I had some wine, I had some steak. I had some lean pepperoni and jerky. One night (Easter) I had some chocolate. Nothing really to excess but after week 1 my weight was back up almost 7 pounds!!! Aaarrggghhh! The pain of seeing the scale going up a pound day after day was really hurting but I couldn’t go back to chicken and tomatoes. So start of week 2 I bought a Bowflex and started doing cardio (40 minutes a day) and weight training (30 minutes / 3-4 times per week). Off the menu still, of course. Just staying away from bread and refined sugar/carbs. 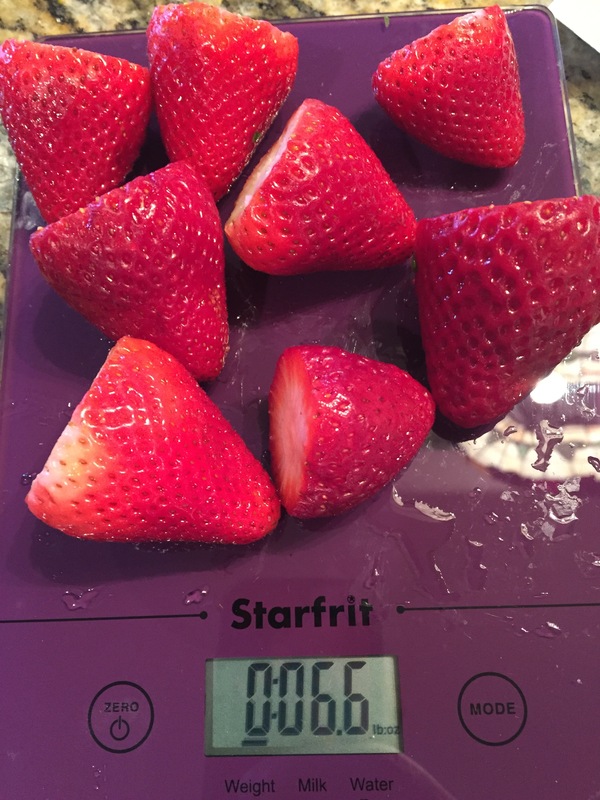 So happy to report this morning I am only up 1.6 pounds from my HCG low two weeks ago… yes!!! I am back. Focused. Feeling good. Still going to be really careful but at one point in the first week I thought the weight was going to come back 1 pound/day up and up and up… I don’t feel that anymore. So that first week after day 26 is a real transition. Be warned… if you are mentally ready for one last week of a restrictive diet I would say you really should. Eat double the food but the same food. From there you can likely go back to adding other lean meats (pork, sirloin) as well as all other veggies (no potatoes or corn) and fruits (no bananas of course). I will post my Chili recipe separately as it is a maintenance HCG wonder… been living on it here the 2nd week… Slowly increase and add different things each day. Weigh every day. And exercise. Walk, jog, elliptical, weights, get into it. It will help smooth things out and keep you where you belong. Good luck. I will not be doing HCG again. This is my last round and I am gonna stay where I am at 40 pounds lighter than I was 2 years ago. Will still keep updating as I go. With this weight training my body is changing already for the better. Next I am changing my insulin so will post on that as well. Leaving my old weight gain insulin for newer and better stuff! HCG Diet – we made it! final injection day. 40 pounds in 23 days. So for my third time in 1.5 years I have completed the HCG Diet. The diet phase anyways. I started this journey at 285 pounds and I am at 245 exactly this morning. Considering the HCG Diet you should lost 20-30 pounds each time you can see that I have not kept it off each time. I am at my lowest weight in over 15 years so that is a huge accomplishment but the challenge as always now is to keep it off. Lean muscle loss was minimal. Definitely belly fat has been th majority of weight loss. I will be increasing calories from 600 to 1400. 40%fat, 40%protein and 20%carbs (from fruit and veggies only). No breads no sugary stuff, no starches for a long time still. Together myself and Barry lost over 40 pounds. Not the 60 we were shooting for but a huge accomplishment in just 23 days. I must say it feels like a lot longer than that. I can never put myself through this again. My face is pale likely from lack of nutrients as I have not been taking a multivitamin. That was a big mistake. I am not feeling as good as Barry mainly I think because I am so so done with this diet after my 3rd round. He is loving his new weight and all the clothes he can fit into. I am really just down 2 pounds from my last injection weight a year ago so the I really was hoping to drop more. I will stick to the low calorie program for 2 more days as the HCG runs out of my system then I will increase as recommended by my nutrition coach. I must say that the last 2 times I followed the “traditional” program and I lost 30 pounds both times. This time we did not take the 7th day off of injection, we ate less fruit and more protein and we were told to increase protein calories. Also we were given a larger list of foods including many more proteins. While the changes may make the diet easier to stick to for some, it just does not render the results of the old school system with a very restrictive menu and no more than 500 calories. Heck Inwasnt even weighing food the last couple weeks and the first 2 times I weighed everything and ate exactly 500 calories per day. The maintenance phase now becomes the most important thing. Our bodies will be very sensitive to sugar and fats. We must not gain more than 2 pounds over our LIWs (last injection weights) so for me I am happy my LIW is 245. Once I get through maintenance I will look to another program (perhaps weight watchers) to drop my next 10 pounds slowly and in a healthy way. One word from me to describe the HCG diet plan as we enter the final 7 days- Boredom. I am so bored of this same food that I don’t want to eat anything any more. Of course this is my 3rd and final time on the program (3 times in 1.5 years). Our week 2 results were great. I was at 16 pounds lost in 14 days. No more muscle loss and Barry actually gained a pound of muscle back (he is doing much more exercise than I am). However now 4 days later I am at the same weight. The same goes for Barry. We have both stalled exactly 2 weeks into the program. So now we need to ignite our bodies back into weight loss with…. APPLE DAY!!! That’s breakfast, lunch and snack right there and then dinner and snacks will be 3 more. That’s all for the day. 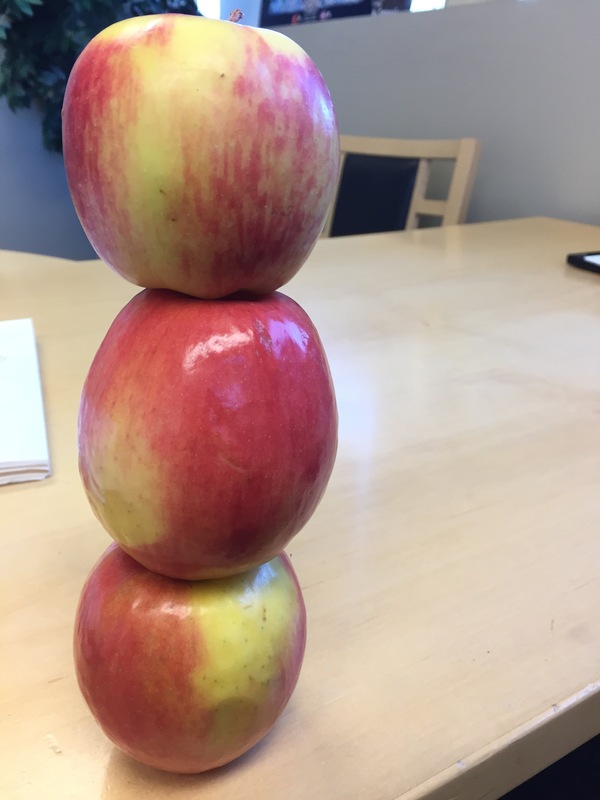 6 apples in 24 hours and gallons of water. I still feel positive but really need to see the scale start moving down again as we near the finish line. The plan will be to see 2 pounds down tomorrow and then back to more good protein to the end of the plan. We each need 10 more pounds in the remaining 7 days so we gotta push! Step on scale… down another 1.5 pounds from yesterday. I can not overstate the joy and feeling of satisfaction. That makes it an even 14 pounds in 13 days so far. And only 13 days to go. Yes it is getting boring but a few weeks of boredom for a lifetime of change is worth it. Just have to keep the finish line in sight. My shirts are noticibly looser. Belt is fitting better. Still staying to around 500 calories even though councillor said go to 800 of protein. However eating more protein for those calories and less fruit. I am concerned about lean muscle loss still. Friday will tell me when we do the body scan. Until then I am going to joy in watching the numbers go down. Today I am at a company function, people eating and drinking all day and night. I have a pocket full of chicken breast, tomatoes and one apple. That’s gonna last me all day and night. Lots of water and coffee. I will prevail!!! Not touching them! Actually makes me sick thinking of eating donuts. The HCG is flowing well now and cravings are non existent. Don’t feel like eating anything really. Here we are at Day 11 of our 26 day HCG diet program. That means just over 2 weeks left and we can really see the finish line now. In 11 days I am down 12 pounds so averaging just over a pound per day. Have added tuna to my menus as well as dill pickles. Blood sugar remaining stable below 7 except when I played hockey with my daughter for one afternoon and had low blood sugar reaction at night. Had to eat 7 sugar tablets so hopefully that did not mess me up too badly. 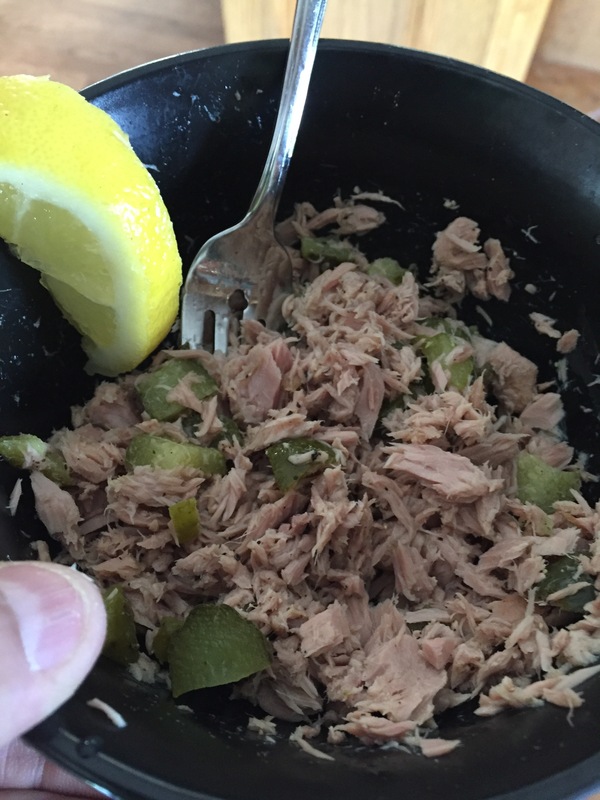 Tuna, dill pickle, lemon and pepper. A great alternative to just chicken and fish. HCG week 1 statistics. Losing lean muscle – add protein. Finished week 1. Both of us are down 10 pounds each. That includes the loading weight we put on at the start so actuall down 12-14 each if you include that weight we put in and took off. Feeling great but when we ran the body scan it also shows we both lost 4 pounds of lean muscle mass. Since we are working with a personal consultant on this, she is recommending we double our protein and remove one fruit. So that boosts us to 800 calories per day (from 500) and only 1 fruit portion. Also veggies don’t count toward our calorie intake. As long as they are on the list they are good to go. So basically 700+ calories of protein only. Currently at 300. Having gone through HCG twice this is surprising to me as I always stayed on the 500 calories. However we don’t want to lose lean muscle so that is the point I guess. We will see what the results show when we scan next week. 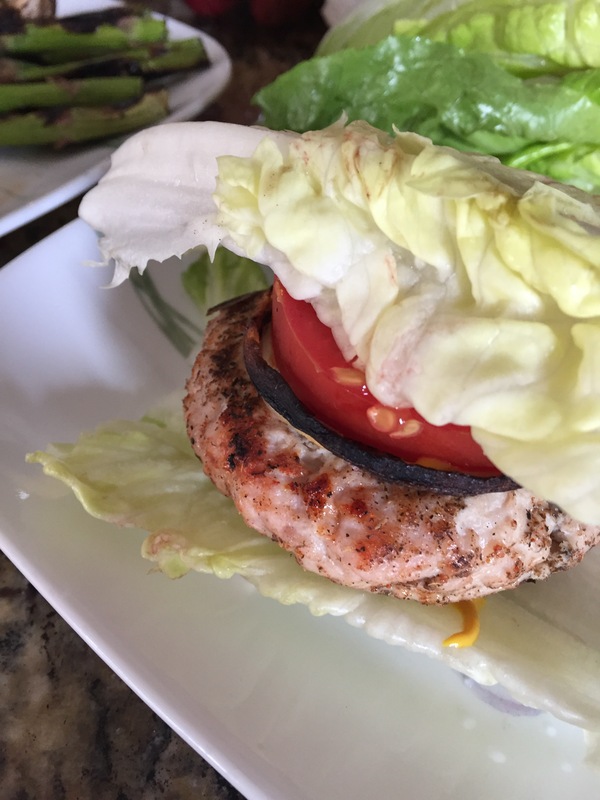 Last night I enjoyed the new protein with 200 grams of ground turkey make into buyers with romaine lettuce buns, mushrooms and asparagus. It was so good. However only down .5 pound today. Love having more protein though. Still we are shooting for 60 pounds during the program. Just over 2 weeks to go! The burgers were so good! Added tomato as well as mustard and hot sauce. 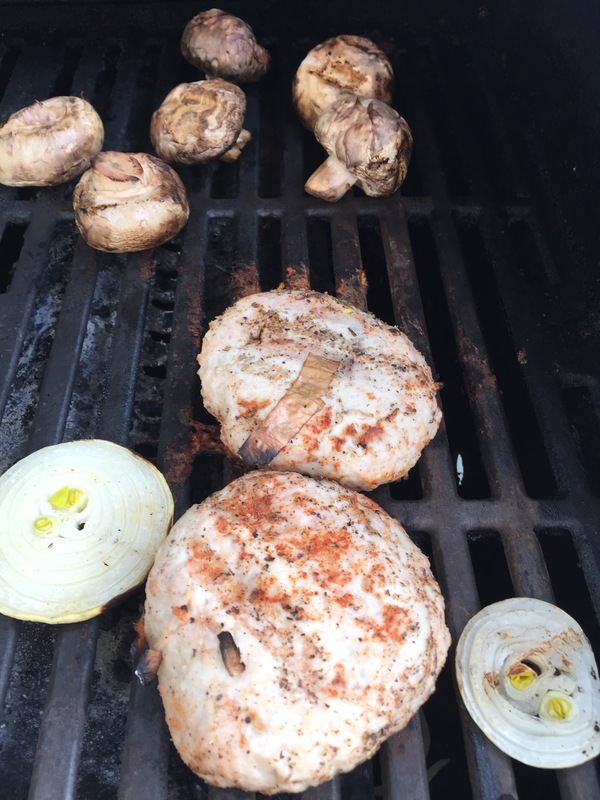 Did not eat the onion just used them to stop the turkey from sticking on the grill. Day 6 HCG update. Insulin up and weight down. Read back to the beginning of my blog last night to get some inspiration. As a type 1 diabetic I have been tracking my weight struggles for almost 9 years now including the past 1.5 years and my previous 2 session of HCG 26 day program. This morning I am down 2 more pounds. Down to even 260. Feels great compared to the over 270 just 4 days ago. I need to share more technical info as it really helps me in the future. I raised Humulin N insulin to 18 units instead of 15. This has helped already and blood sugars now below 10. Should get steady to 6 by tomorrow I expect. HCG taking by syringe. I am taking 22 units his time instead of 20. This was recommended by the doctor. Also taking calcium & magnesium supplements this time to help with constipation. Working so far. Weekly I am also tracking lean body mass, BMI and all body weight distribution. Need to make sure HCG is not losing lean muscle and only bad fat. I will report on first week findings after Friday tests. All in all, I am feeling really good. Motivated again to stick to the plan without waivering. Blood tests today at 9:50am so can’t eat until afterwards. Continuing with lots of water. My friend The Big Guy is having amazing success so far during his first week. He is down 8 pounds I believe. He will comment. My new goal now is 235 pounds. 25 pounds from where I am at today. I have not been below 242 for well over 10 years. Can’t wait for the new me!!! Woke up down another 2 pounds today. That is almoat 5 pounds in 4 days so things are moving in the right direction. No real “hunger” but I slight headache comes and goes. Usually water helps. Drinking 4-5 litres of water. 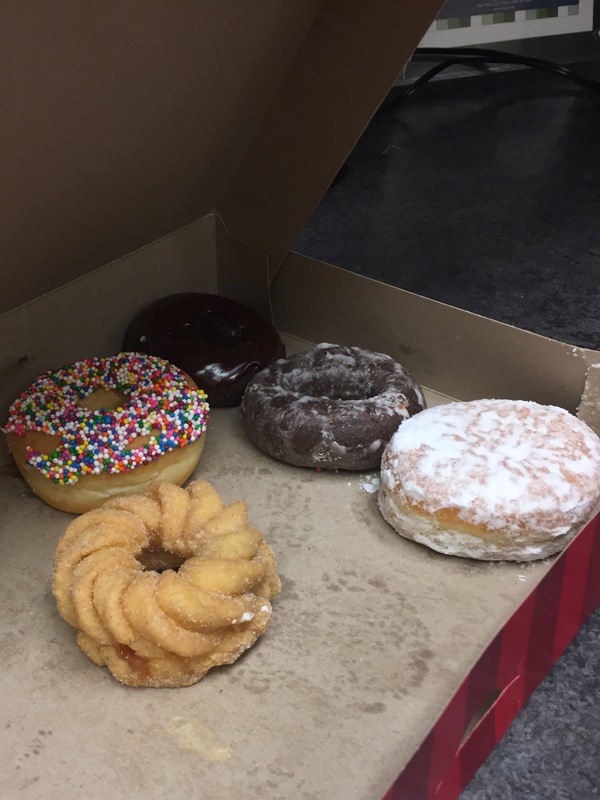 On the diabetes front, still balancing the insulin levels but expect to get sugar normalized today. Once it is set it should be smooth sailing. Looking forward to another day and more weight loss. Barry will comment. His progress is even better! HCG Diet day 3 eliminates all loading weight and more! So here we are at the start of Day 4. Myself and a good friend of mine dedicated to losing a total of 60 pounds during the 26 day program. After day 1 and 2 of total food debauchery we started the 500 calorie restrictive diet yesterday. Not only did our bodies lose all of the loading weight (which was a significant 6-8 pounds) but we are also both down almost 2 pounds each from our starting weight. Everything weighed to the fraction of an ounce! That is so so important. You need to have the list that gives you portions to the exact ounce so you don’t have to mess with counting calories. Simple… 2 fruit portion, 2 veggie portion and 2 protein portion each day from the list. Comment and ask me if you need the list. The exact portion of freshly washed sweet strawberries!